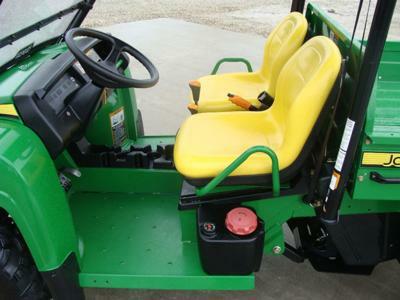 The 2008 JOHN DEERE GATOR for Sale is a black and green 2008 John Deere Gator XUV 620I with 549 hours and in nice overall used condition with some rubs and wear expected with normal use. The Gator has the optional heavy-duty front bumper and grill guards and hitches on both the front and rear. Tires are in good condition with even wear. All of the 4X4's plastic is in good condition and the cargo box has manual lift. the ATV has no mechanical problems, has been regularly serviced and runs like new. If you would like to request more information and/or photos please call me using the contact information I have posted below and please mention that you found my classified on GoGoCyclesUsed Motorcycles for Sale when you call. 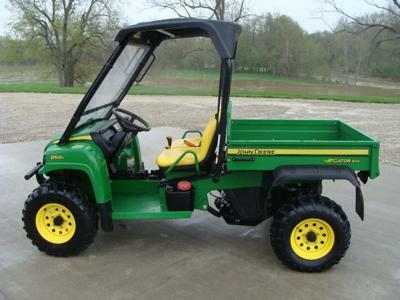 The 2008 JOHN DEERE GATOR for Sale is located in Holden Near Bangor Maine and the price is a very cheap $6850. Call me (no e-mail)207-944-9three40 for an appointment and don't forget to mention that you found this ad on GoGoCycle's Used Motorcycles and Parts for Sale www.gogocycles.com when you call.